Wow is it really December? Hope everyone had a wonderful Thanksgiving weekend! On Thanksgiving Day, I stopped by Stanford to snap these photos before heading to a family gathering which was just about 10 minutes away from there. I just love shooting at the Main Quad and the way the sun hits the columns. As I have mentioned before that I love bringing out all the fun prints and sparkles during the holiday season, so of course I would wear sequins for this special occasion. This is definitely a more subtle way to wear sequins because I am playing with a rather monochromatic and neutral palette. Who ever says sequins have to be loud and tacky? Champagne sequined blazer c/o F21. Brown leather skirt from F21. Rose cable knit infinity scarf c/o Sole Society. Cat studded tassel clutch from ASOS. 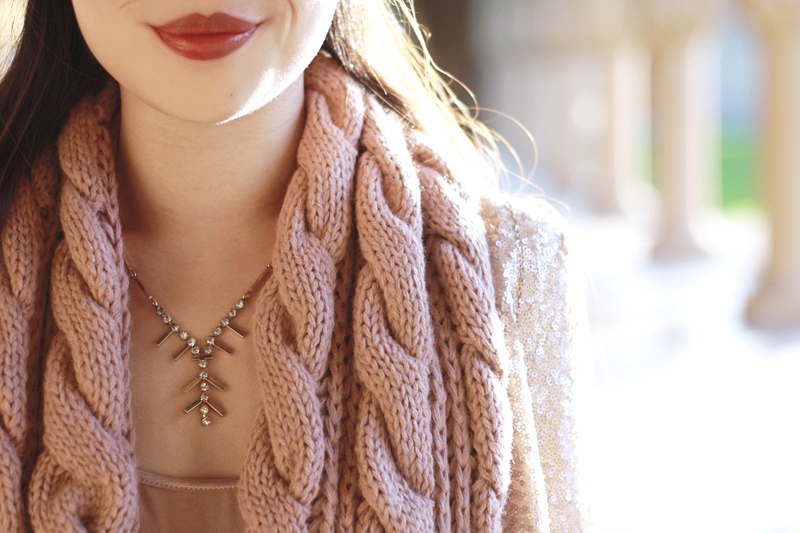 Vintage gold fringe rhinestone necklace c/o Sweet & Spark. Hidden Parlour ring c/o Samantha Wills. These photos turned out lovely. The light is perfect and I love your necklace. Stanford is gorgeous. You look stunning as always! One of my closest friends goes to Stanford and gave me a recent tour of the campus... it's definitely a great spot for outfit photos! Gorgeous!! Love the color palette. 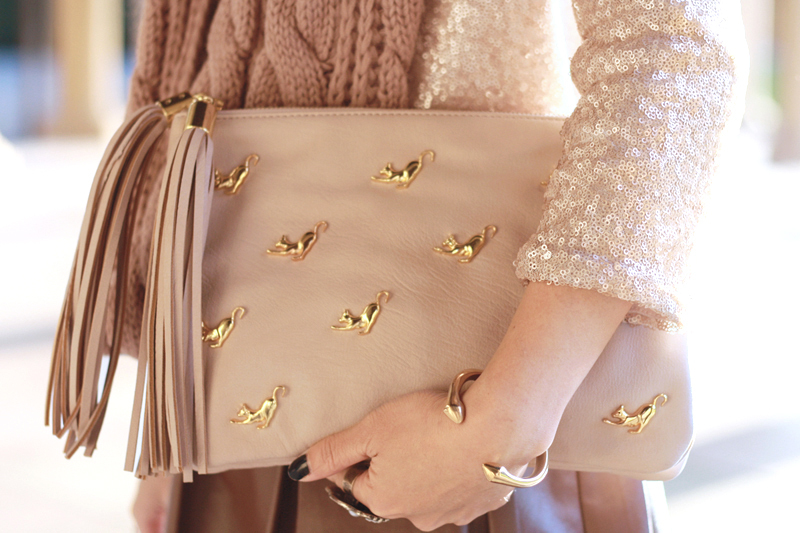 All the neutral shades and mixed textures in this outfit are perfect. Everything mixes together so well! The sequins aren't overbearing or anything. 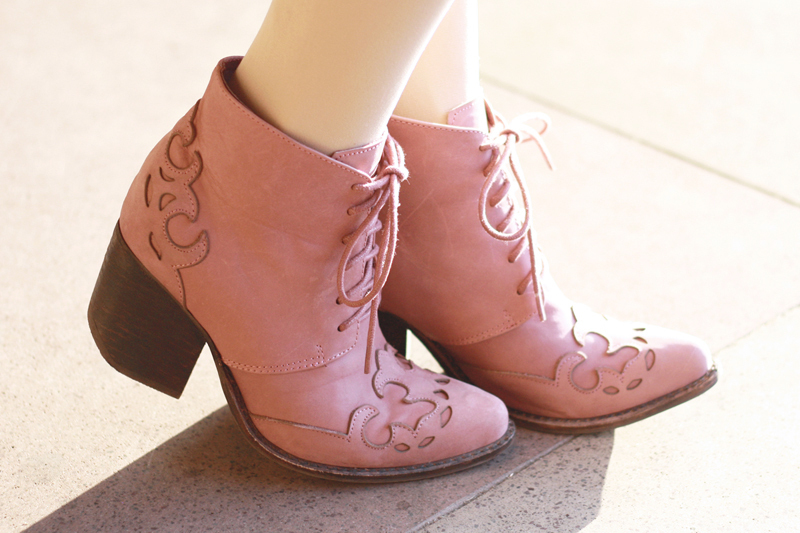 Such a great way to wear them in the daytime! such pretty colors and textures! :) that clutch is just amazing!! Ein sehr schöner Rückblick. Dasmit dem Einhorn erinnert mich direkt an "Die Eiskönigin":D.